Do you think migraines need to be taken more seriously? Concerns have been raised about the lack of support for workers who suffer from migraine. Research for three charities showed that many sufferers do not believe employers understand the impact the condition has on their staff. A survey of more than 2,200 adults, most of whom have experienced migraine or know someone who has faced the condition, found that seven out of 10 do not know if it can be classed as a disability. Arlene Wilkie, chief executive at the Migraine Trust, said: "This poll signals a wake-up call with the reality that while migraine appears to have touched the majority of people polled, the very debilitating and serious nature of the condition is still not recognised. 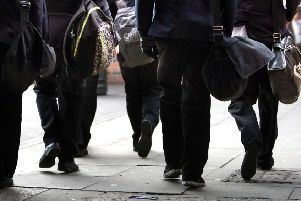 "The findings will strike a chord with many sufferers who have received inadequate backing from their bosses, schools and universities." Two-thirds of those questioned said employers do not understand migraine or its effects on staff.